At the turn of the twentieth century Buffalo’s East Side was a Polish metropolis of businesses, churches, and social organizations. While the businesses and parishes had structures to house them, the clubs, societies, and organizations had to make do in members’ homes, church basements, cramped buildings, and the back rooms of taverns. All that changed in 1903 when the Polish Library Association decided to build a civic center for Polonia and the Dom Polski was born. For designing the Dom Polski, or Polish Home in English, Buffalo architect Wladyslaw Zawadzki was hired. Zawadzki envisioned a Renaissance style four-story red brick building with a façade of Indiana limestone. Inside there would be room for two stores, meeting rooms, a bowling alley, a billiard room, smoking lounges for men and women, offices, and enough space for the 10,000 volumes of the Czytelnia Polska, the Polish Literary Association’s library. To top it all off would be a 4,000 square foot auditorium with a 24-foot stage with a fourth floor gallery that would give the viewer a vista of the East Side. Raising funds for the home was a community effort. It would take two years for the library association to find the donors needed to raise $45,000. Organizations big and small contributed as well as individuals, from simple laborers to Polonia’s premier industrialist Anthony Schreiber, everyone gave what they could. On July 16, 1905, in front of a crowd of 20,000, a celebration was held during which Father Valentine Swinarski laid the cornerstone for the Dom Polski, with the formal opening being held one year later. With the home complete, Polish culture had fertile ground to grow in Buffalo. 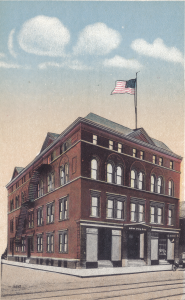 The Dom Polski Association, Paderewski Singing Society, Polish Ladies Relief Committee, Polish National Alliance, and Polish Boy Scouts, were amongst the scores of organizations that called 1081 Broadway home. The large upstairs hall had room for concerts and gave national and international guests a forum to speak including, Helena Paderewska, wife of Polish Prime Minister, composer Ignacy Jan Paderewski, and Polish hero of the First World War, General Joseph Haller. As the neighborhood changed in the mid 1970s so too did the Polish Home. 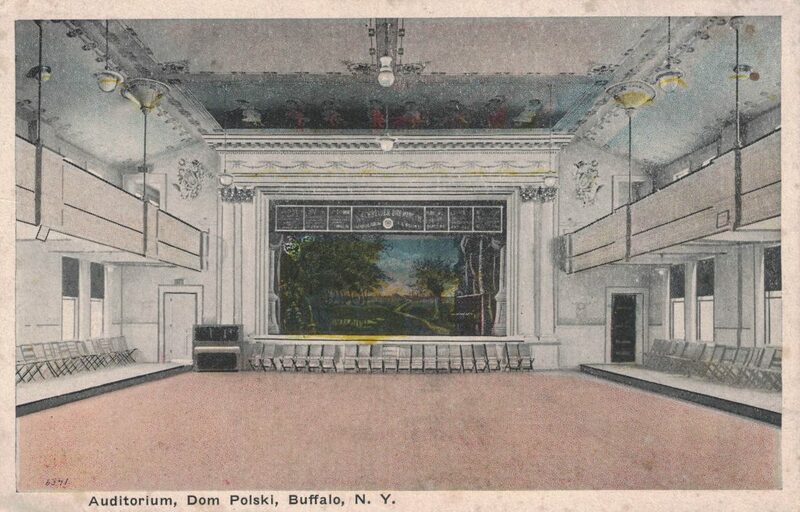 As the Dom Polski Association struggled to maintain the facility, the city of Buffalo was looking for a place to establish a Polish Cultural Center in the East Side. The two organizations worked out a deal and in 1976 the Dom Polski became the home of the Polish Cultural Center. Beyond providing space for Polish organizations, artists, and events, the Polish Cultural Center also provided human services to the community. That aspect of the organization became its central mission by end of the millennium and on November 11, 2000, the Polish Cultural Center officially became the Lt. Col. Matt Urban Human Services Center of Western New York. The Urban Center, name after Medal of Honor recipient and one-time neighbor of the Polish Home, Matt Urban, now serves the predominantly African-American community that resides in the East Side. "Birthday of Dom Polski." Buffalo Express [Buffalo, NY] 13 Dec. 1915: 6. Print. "City Officially Pays Tribute to General Haller." Buffalo Courier [Buffalo, New York] 27 Nov. 1923: 5. Print. "City's Poles Unite to Celebrate Dom Polski's Building." Buffalo Courier [Buffalo, NY] 13 Dec. 1915: 8. Print. Cyganowski, Melanie. Draft Roport: Dom Polski -- Polish Cultural Center. Rep. Buffalo, New York: Polish Cultural Center, 1975. Print. "Dedication of the Dom Polski." The Buffalo Express [Buffalo, NY] 2 July 1906: n. pag. Print. "Great Day for Buffalo Poles." Express [Buffalo, NY] 1 July 1906: n. pag. Print. "Laying of Cornerstone Today of "Dom Polski"" Courier [Buffalo, NY] 16 July 1905: n. pag. Print. "Laying the Corner Stone of the Polish Home." Illustrated Buffalo Express [Buffalo, NY] July 1905: n. pag. Print. "Lt. Col. Matt Urban Human Services Center of W.N.Y." Lt. Col. Matt Urban Human Services Center of W.N.Y. N.p., n.d. Web. 28 Nov. 2015. "Opening Ball at Dom Polski." News [Buffalo, NY] 31 Dec. 1905: n. pag. Print. Pamietnik Jubileuszowy Stowarzyszenie Domu Polskiego Buffalo, N.Y. 1905-1955. Buffalo, NY: Dom Polski, 1955. Print. Golden Anniversary Program of Buffalo's Dom Polski. "Relief Committee Plans For MME. Paderewski Visit." Buffalo Courier [Buffalo, New York] 3 Dec. 1916: 63. Print.